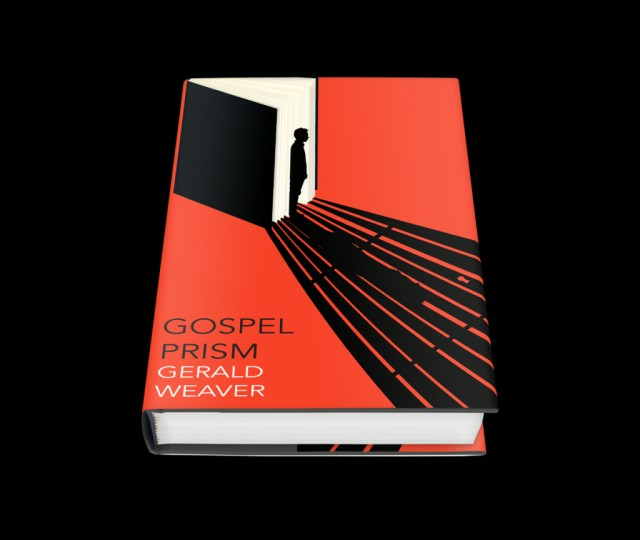 I just finished reading an extraordinary book called Gospel Prism, by Gerald Weaver. In one sense, I’ve never read another book like it. But in another sense, every book I read and every book I write is similar, because Gospel Prism is about every book and even goes so far as to try to be every book. Needless to say, it’s a very ambitious novel. Some history. I met Gerry Weaver in the ‘70s. He was a roommate of a friend of mine at Yale. I haven’t seen him since. But during those decades, he rose to a powerful staff position in Congress, was embroiled in a scandal there in the early 90s, and spent some time at a minimum security prison. This experience provides the setting and context for Gospel Prism, though the book stretches far beyond the jail walls in its themes and its scope. A couple of years ago, Gerry got in touch with me and told me that he’d written this novel. He wondered if I might read it and provide feedback. I said yes. About a week later, an immense envelope arrived in the mail. I was a bit overwhelmed. I was (and am) used to helping people tell stories and organize their thoughts. But Gospel Prism wasn’t journalism or a traditional story with a beginning, middle and end. It was a big, weighty hunk of literature. It was unclear and dreamlike. In many ways, Gospel Prism was the opposite of everything I write. My goal in writing is to make it so easy and fun that people forget they’re reading. If there’s a difficult concept or technology, I try to sand it down to a smooth surface. Gerry takes the opposite path. He wants readers not only to remember they’re reading, but to celebrate it. Reading, after all, is miraculous. It’s how we share ideas and experiences not only from one person to another, but also from century to the next. It may be closest thing we have to a universal brain. Gospel Prism drives home this theme by running through the canon of Western literature. Each chapter draws from a different classic and delivers a different life lesson. It wrestles with the biggest questions, about life, love, and God. It starts with Don Quixote, and runs through Shakespeare, Dante and Milton. It’s a book about books, and it’s only fitting that toward the end it takes the voice of the ultimate bibliophile, Jorge Luis Borges. So the character, who for some reason winds up in prison, likes to lie, and it’s his story we look to for truth. Funny enough, we might find it there.